25 March is a date for your calendars. Anfield will be playing stage to an unmissable match between Liverpool and Real Madrid legends set up to raise funds for the LFC Foundation. 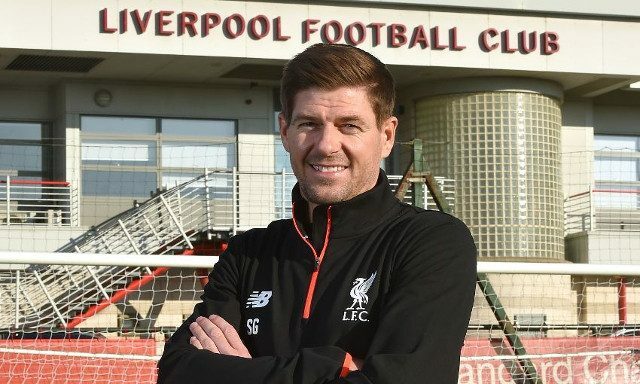 Legendary skipper Steven Gerrard is one man who will be gracing the Anfield turf once again and will also be joined by the likes of Ian Rush and John Aldridge as well as fellow Istanbul heroes such as Jamie Carragher and Luis Garcia. It poses as a return home for one of the greatest players this club has ever seen and we cannot wait. What makes it even more of a special occasion is just how excited Gerrard himself is about putting the red shirt back on again and playing in front of our famous fans. “Training (at the Academy on Monday) gives you a little flavour of what to look forward to, getting back playing with all the ex-players – a lot of heroes of mine. My mouth is watering for it,” he told Liverpoolfc.com. A bit of history is perhaps what the fans need during this emotionally testing season. What better way to a smile on the faces of the new and older generations of Liverpool supporters than by teaming up a selection of club legends? It promises to be an incredible day and a welcomed reminder of this club’s success.